Xiaomi Mi A1 emits most radiation followed by the OnePlus 5T. 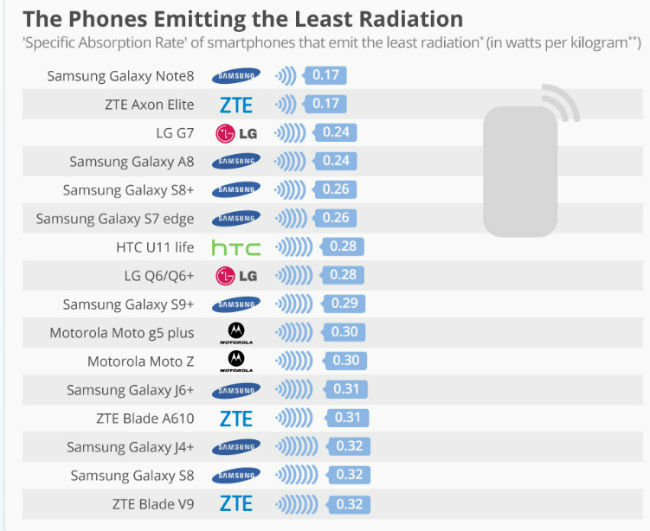 Samsung Galaxy Note 8 and ZTE Axon Elite emit least radiation. Xiaomi Mi A1 emits most radiation. OnePlus devices also rank high on radiation emitting list. Samsung Galaxy Note 8 releases the least radiation. While Xiaomi phones were the most preferred devices in the mid-segment market, people chose OnePlus devices in the sub-Rs 40,000 segment in India last year. 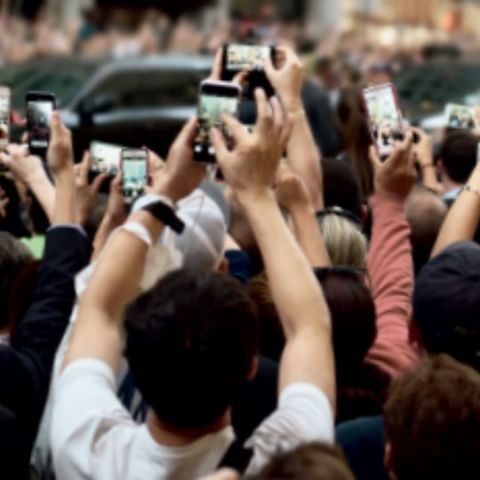 Their success was attributed to the value-for-money offerings and brand awareness, but what people don’t know is the radiation emitted from the phones when they are placed on ear. According to latest stats, some Xiaomi and OnePlus phones top the list of handsets that release a lot of radiation. On the contrary, phones offered by Samsung, a company struggling to reclaim the peak position in the country, emit the least amount of radiation. 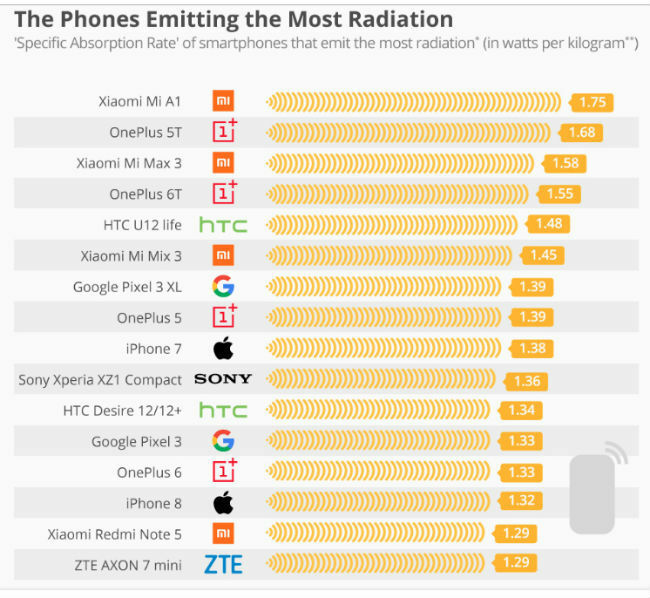 As per data compiled by Statista, Xiaomi Mi A1 emits the most radiation followed by the OnePlus 5T. These are followed by the Xiaomi Mi Max 3 and the OnePlus 6T on third and fourth spots respectively. “In fact, the two companies are represented heavily in this list, with eight of the top 16 handsets being made by one of them. Premium Apple phones such as the iPhone 7 and the recently released iPhone 8 are also here to be seen, though, as are the latest Pixel handsets from Google,” Data Journalist Martin Armstrong writes in a blog. The scoring was done on the basis of the criteria set by the German Federal Office for Radiation Protection (Bundesamt für Strahlenschutz). There is no universal guideline for a ‘safe’ level of phone radiation, however, the German certification for environmental friendliness 'Der Blaue Engel' (Blue Angel) only certifies phones which have a absorption rate of less than 0.60 watts per kilogram. According to the data compiled by Statista, all the phones that featured in the blog come in at more than double this benchmark. The research firm also listed the phones which emit the least amount of radiation. The Samsung Galaxy Note 8 was ranked first in that list, followed by ZTE Axon Elite. The LG G7, Samsung Galaxy A8 and Samsung Galaxy S8+ take up the third, fourth and fifth spots respectively to fill the top five places respectively. “In fact, Samsung handsets feature prominently, with half of the top ten coming from the South Korean company. This contrasts starkly with their major rival Apple. Two iPhones occupy a place in the list of phones which emit the most radiation, compared to none from Samsung,” Armstrong said, adding that all the phones that featured in the blog come in are well under the benchmark set by ‘Der Blaue Engel’ (Blue Angel).